Lara Croft is a fantastic protagonist. Since abandoning her 90s-era ‘tude for a more grounded survival instinct in 2013's Tomb Raider, Lara has become not only one of the strongest female characters in videogames - a dismally short list to this day - but one of the strongest videogame characters, period. And with her latest adventure, Rise of the Tomb Raider, her place among the best of the best has only been reinforced. Raiding tombs is tough work. When Lara’s not flinging herself across spike-filled chasms and scaling icy cliffs suspended over hundred-metre drops, she’s having to contend with the militarised version of the Illuminati hell-bent on exploiting the treasures of the past for its own nefarious gain. In Tomb Raider, Lara took up arms only out of necessity, employing one evil to destroy another, even greater one. For as much blood as she spills, she never succumbs to the blood-lust her enemies thrive on. 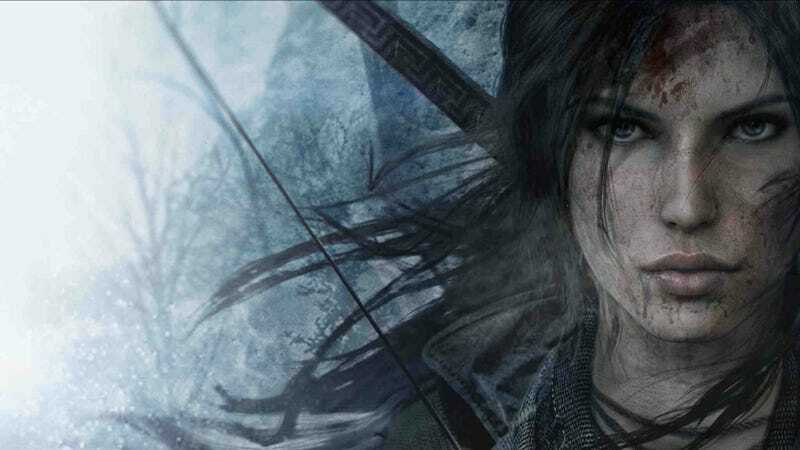 Rise of the Tomb Raider maintains Lara’s ambivalence towards violence, presenting her as a little older and a little wiser, but no more immune to the toll death takes on the soul. Consequently, it is far easier to empathise with her than a typical shoot-first ‘hero’ like Ajay Ghale from Far Cry 4 or Aiden Pearce from Watch Dogs. As it is for most of us, violence is Lara’s last resort, rather than her preferred means of interaction. When push does come to shove, Lara shows that wits and resourcefulness beat brute force every time. In an early scene I won’t spoil, she escapes what seems an impossible situation by turning her enemies’ weapon against them. It is a brilliant example of coolness under pressure, and better yet, Lara never lets it go to her head. Strong and capable though she is, she never succumbs to overconfidence, nor does she fall prey to foolhardy behaviour designed solely to create dramatic tension. She is too smart to walk straight into an obvious trap. For all her physical prowess, Lara is not lacking in the intelligence department. She is a student of history, and her wisdom plays as much of a role in gameplay as it does the story. For instance, one of the game’s mechanics involves translating ancient text for clues to hidden supply caches. As Lara studies more faded frescos and forgotten manuscripts, her linguistic capabilities increase, allowing her to decipher more complicated scripture. Lara’s academic roots are most evident in the commentary she provides for the wealth of relics encountered throughout her adventure. The richness of her knowledge is clear as she points out the ancient origins of an unusual arrowhead, or hypothesises on the purpose of a distinct groove cut into an old coin. These ruminations not only flesh out the deep historical framework on which the game is built, they highlight the staggering amount of study involved in Lara’s pursuit of an archaeological career. Tomb raiding is not as simple as carrying a whip and wearing a fedora. Lara puts her impressive brain to further use in the game’s crafting system. By collecting and combining items gathered from the environment, she constructs tools critical to her survival. Hunting and foraging for the necessary resources to build a stronger bow poses a far more cerebral challenge than simply opening up conveniently placed chests to unlock more powerful weapons. Unlike so many of her contemporaries, Lara doesn’t just get stronger over the course of the game, she gets smarter too. Intelligence isn’t the only advantage Lara has over the competition. Ludonarrative dissonance is a term often thrown about to describe the disconnect between a character’s personality in a cutscene and their actions when under the player’s control. The prime example is Lara’s closest corollary, Nathan Drake of the Uncharted series. The scripted story scenes in those games portray Drake as a wise-cracking, loveable goof, only for him to transform into a bloodthirsty killing machine the second the reins are handed back to the player. Lara, on the other hand, maintains a consistent persona regardless of player agency. In cutscenes, she is fierce and determined, but weary and fearful at the same time. When the player takes over, this desperation is preserved through the scrappiness of Lara’s animations and her cries of pain and exertion as she leaps about the environment. Even if the player goes in all-guns-blazing, Lara’s discomfort is clear in her every action. There is never any doubt that fear is her constant companion. I cannot think of another videogame character who so effectively provides a means of escapism while still feeling real and relatable. Compared to the typical action hero or amnesia-stricken vessel for player embodiment, Lara inspires empathy and admiration for her resilience in the face of the forces out to stop her. For as fantastical as her adventure is, few protagonists feel as grounded as Lara Croft.